mindy pitcher: loving the templates!! i do have a few traditional ones in the works (need titles and journaling done..) and some digi ones too.. darn me for burning the pics to CDs and not keeping them on the old computer to digi scrap them.. now i gotta re-load them.. Cute! I thought of another bonus of digi scrap...if you print at Costco, they take up less room in an album, so you can fit more....Or you can have a book printed and bound for pretty cheap. That is very pretty. 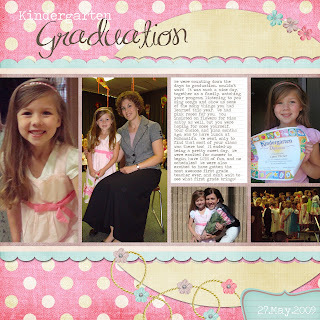 I'm not in a scrapbooking mood. I'm just over it. Too many pictures not enought time. By the time the girls get in bed at night I don't have anything left in me. I want to try my hand at digital but until I have some time to sit and really learn it, it will just not happen.